I take my music seriously, and so should you. 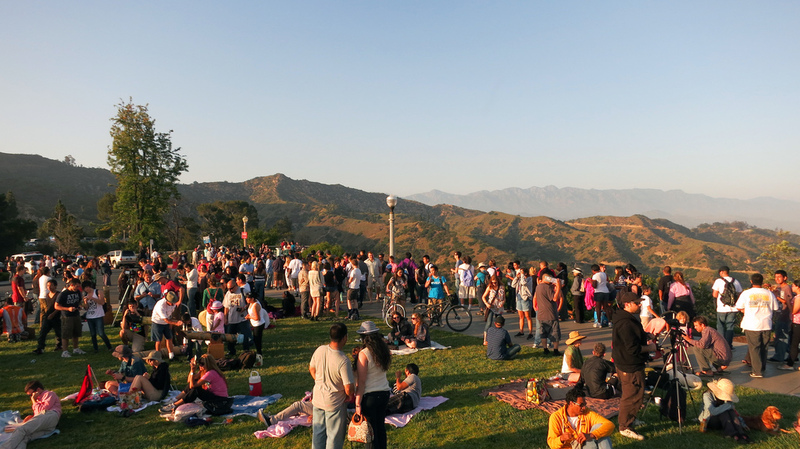 Griffith Park Observatory during the annular solar eclipse. It’s summertime in Los Angeles (and everywhere else in the northern hemisphere for that matter). Time to hit the beach and The Bowl and spend quality outdoor time with great friends across L.A. County’s 4,000 square miles, from Lancaster to Long Beach. I’ve covered lots of ground already as 2012 is already well on its way to being, yet again, the best summer ever™. But this is the first summer of Adler Integrated. Yes, myself and a dream team consisting of some of my best friends came together and started a company in January. More on that in my next post (or, uh, we do have a blog). I’m basically doing the same type of work I’ve been doing for some years now, only bigger, better and with more support and collaboration. It’s awesome. 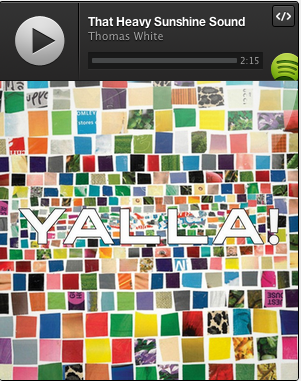 Spotify released a public embed code for streaming tracks from the service on any website. It’s called The Spotify Play Button and I’m testing it out here with the April playlist I created for the office. Check it out below and check out my other Spotify playlists here. (both those I’ve created and those I subscribe to). Some companies, such as FanRx have already begun incorporating the code into artists’ Facebook Pages. This reminds me of Yahoo! music player, which is a simple script that triggers a player to appear when an audio or video file was present in a blog post or more recent versions of similar, such as the Ex.fm extension. The main difference, of course, is that the music is streamed directly from Spotify, rather than an ambiguous (or non-accountable) URL ending in .mp3, which essentially locks in plays to a revenue stream for artists (however minute), assuming Spotify is in fact paying out based on number of plays and not just as a percentage of Spotify subscriptions. Click here to create a customized Spotify Play embed code.